What is the "Welcome to Medicare" Physical Exam? The "Welcome to Medicare" physical exam is a one-time, preventive physical exam Medicare covers within the first 12 months that you have Medicare Part B. The visit will include a thorough review of your health, along with education and counseling about the preventive services you need, like certain screenings, shots, and referrals for other care. This visit is a great way to get up-to-date on important screenings and shots and to talk with your doctor about your family history and how to stay healthy. During the "Welcome to Medicare" visit, your doctor will record your medical history and check your vision, blood pressure, and weight and height to measure your body mass index (BMI). Body mass index is a measure of body fat that applies to both adult men and women. Your doctor will check that you are up-to-date with preventive screenings and services, such as cancer screenings and immunizations. Further tests may be ordered, if necessary, depending on your general health and medical history. Your doctor will also give you advice to help you prevent disease, improve your health, and stay well. You will get a written plan (such as a checklist) when you leave, letting you know which screenings and other preventive services you should get in the future. Your doctor will also talk with you about creating advance directives. Advance directives are legal documents that explain in writing what kind of health care you would want if you were too ill to speak and/or make decisions for yourself. Talking to your family, friends, and health care providers about your wishes is important, but these legal documents help ensure your wishes are followed. When Do I Get My "Welcome to Medicare" Exam? Once you enroll into Medicare Part B, schedule your "Welcome to Medicare" preventative visit right away. Medicare will only cover this physical exam if it occurs within the first 12 months from when you enroll into Medicare Part B. If you've had Medicare Part B for over 12 months, you can get a yearly "Wellness" visit instead. 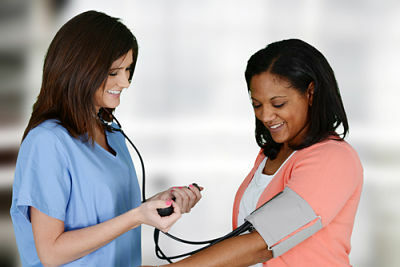 This visit is also covered and can help you and your doctor develop a personalized health plan. You pay nothing for your "Welcome to Medicare" preventative visit or the yearly "Wellness" visits if the doctor or health care provider accepts assignment. If you have additional tests or receive other services during this visit that aren't covered under these preventative benefits, you may have to pay coinsurance and the Medicare Part B deductible may apply. Medical records, including immunization records. A list of prescription drugs, as well as over-the-counter drugs and supplements that you currently take, how often you take them, and why. Family health history. Try to learn as much as you can about your family's health history before your appointment. Any information you can give your doctor to help determine if you are at risk for certain diseases.